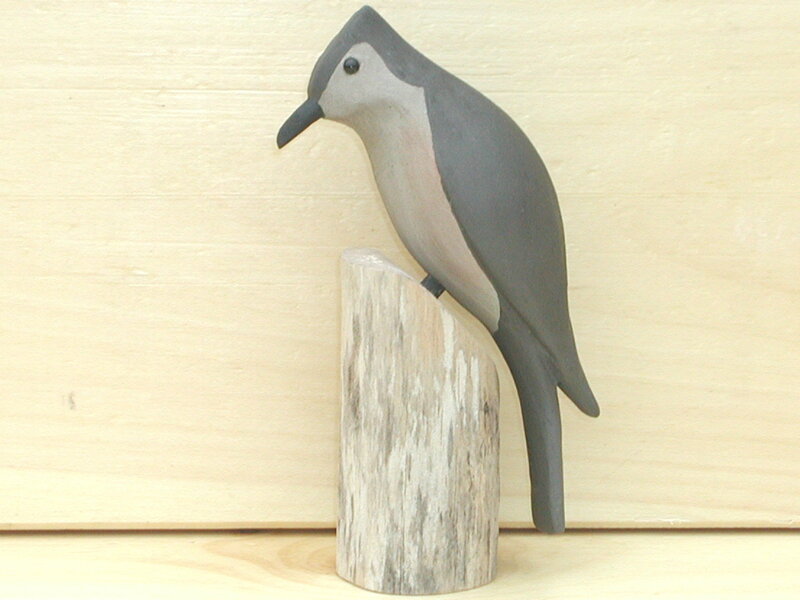 The Tufted Titmouse is common in eastern deciduous forests and a frequent visitor to feeders. 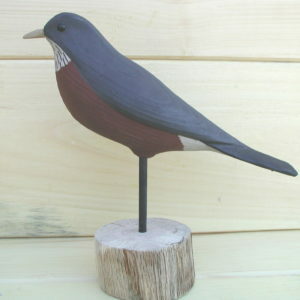 The large black eyes and brushy crest gives these birds a quiet but eager expression that matches the way they flit through canopies, hang from twig-ends, and drop in to bird feeders. 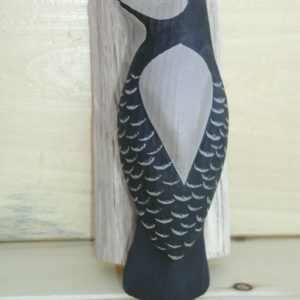 Our Tufted Titmouse features carved wings, black glass eyes, and measures apprx. 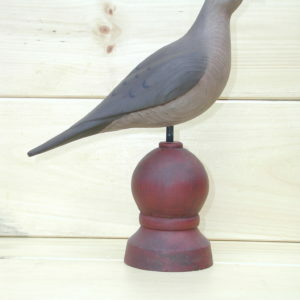 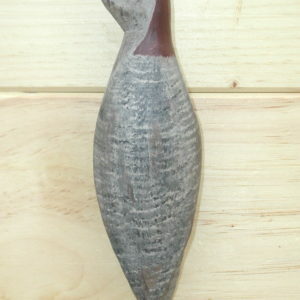 6 ½” long x 2” wide x 7” tall on its rustic base.